The German-Austrian-Swiss Society for Orthopaedic Traumatologic Sports Medicine (GOTS) is the world’s second largest association of specialists in sports orthopaedics. The GOTS is the number one in the treatment of sports injuries and guarantees reliability, competence, experience and outstanding quality of care for patients suffering from sports injuries. The GOTS provides highest standards in consultation. 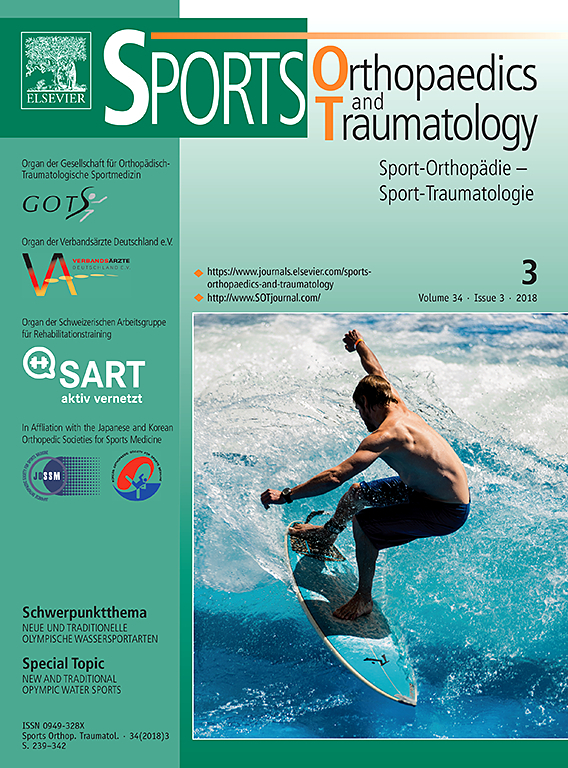 The German Society of Orthopaedics and Traumatic Sports Medicine (GOTS) supports and promotes the educational training, further education and research as well as the exchange of information among doctors who work in the field of sports traumatology, Orthopaedic Sport Medicine and neighbouring occupational groups. Its aim is to preserve a well working musculoskeletal system and therefore high quality of life by imparting a better knowledge and understanding of the strain and injuries caused by sporting activities. In Germany over 400.000 arthroscopic surgeries are performed per year, which makes it the mostly used operative technique. By using a web-based automated patient’s questionnaires, the objective of the DART is to conduct a broad and long term measurement (assessment) of the postoperative results after arthroscopic surgery. This data will then be used to gain quality assurance of surgical procedures as well as serving as a basis for further research. Different modules are provided to administer the patient’s data, depending on the operated joint (shoulder, hip, knee). DART is an initiative of the Society of arthroscopy and joint surgery (AGA), the professional Association of Arthroscopy (BVASK) as well as the Society of Orthopaedics and Traumatic Sports Medicine (GOTS) in cooperation with the German Society of Orthopaedics and Trauma Surgery (DGOU).